Let Staywired create a picture in your mind of how our Erskine Park electricians can help you out.How many times have you had to unplug a tech-gadget because you needed a power socket for some other device? It’s rather inconvenient and,while an extension cord is a good instant solution, it’s not the best or the most aesthetically appealing one. We, at Staywired Electrical, are your problem-solvers on the job and no electrical question can phase us. Our Erskine Park electricians are fully licensed, fully insured, and are completely ready to help you out with power point installations because we know the best place and type of power socket for any situation. From outdoor waterproof sockets to combined outlets – you can expect functionality and a modern design that will fit into your interior. We have a wide range of styles to choose from, that include classic white, stainless steel and even glass – whatever satisfies your taste. With our Staywired Electrical team in Erskine Park, you can rest assured that every electrical issue,whether it’s in your home or business, will be handled by a trained professional, who has an impeccable record. We pride ourselves on customer satisfaction and will even call you afterwards to get your thoughts about our service. Are you looking to refurbish the electrical systems in your home or business? Staywired Electrical will provide you with the best domestic or commercial electricians in Erskine Park, who have the finest qualifications and experience. We will give you our full support from the very start – from learning more about your needs and wishes and assessing what would be the most efficient solution, to the best, hassle-free job completion. Let us handle all your electrical work with the minimum of inconvenience. Call us today on 02 8315 3260! 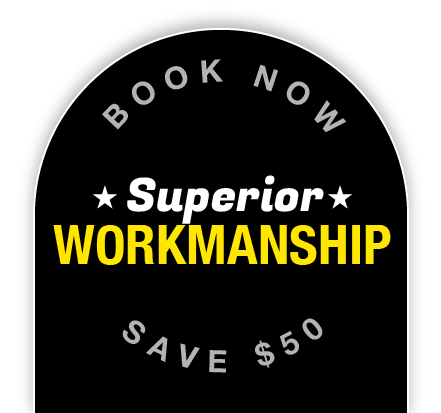 Book Now to save $50*. Contact us about our senior discounts! Erskine Park was named in honour of an Irishman, James Erskine, who was the Lieutenant Governor toLachlan Macquarie and granted 3000 acres of land there.The Erskine Park local school is also named after him.